Thanks to Dr. Rafay, pediatric Neurologist at the Children’s Hospital Winnipeg and Mrs. Trish Guimond and Sandra Gibb, mothers of girls affected by Rett syndrome, for obtaining the grant funds from the Children’s Hospital Foundation to support this project and their tremendous work and commitment to this project. Thanks to the families of girls affected by Rett syndrome for their endless support and commitment to this project. 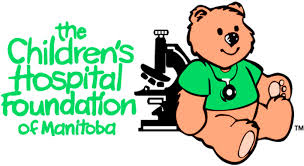 Thanks to the Children's Hospital Foundation of Manitoba for their generous support for this project.